I blogged about the return of our weekly webinars on Monday. 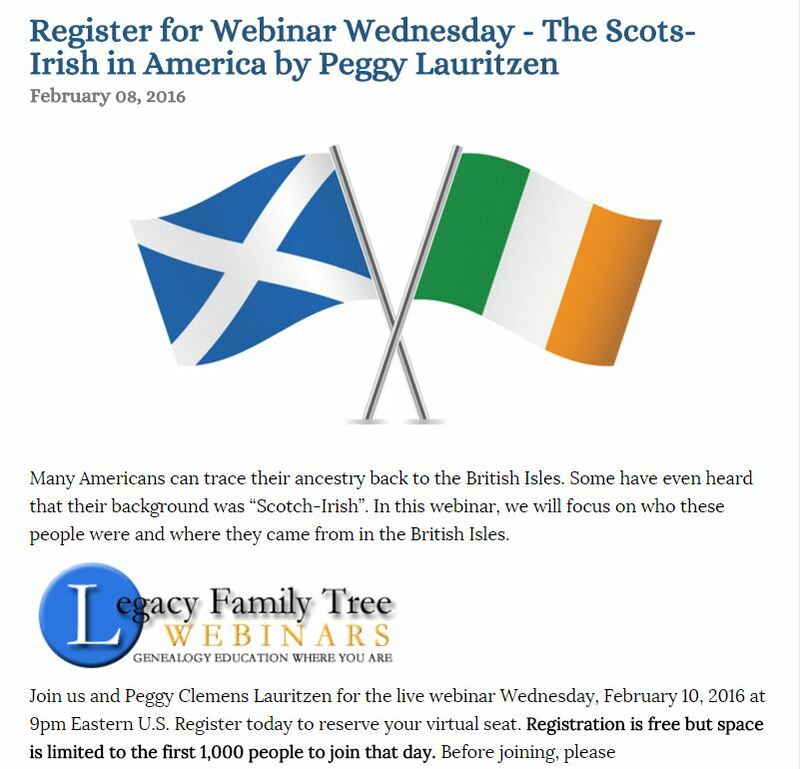 I’m looking forward to Peggy’s Scot-Irish in America. My Munroe and Duncan clans still need more research. I’m hoping to find a new approach. I wander which of Dear Myrtle’s cousin will be visiting tonight? My blog post for the last three days have been short and sweet. I’m working on my goals. That is where I’m spending time. A reminder to pace yourself, work on what is important to you, yet don’t forget that posting your legacy is part of those goals. My #365daysofjune is a part the legacy of who I am, how I spend my time and maybe entice the next generation to carry on. Short and sweet sometimes is the way to go.